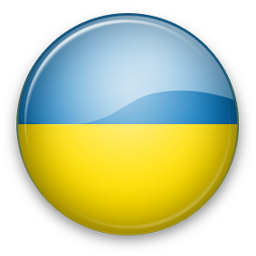 02.09.2015 - Intertelecom has introduced two new tariffs for its mobile users in Western Ukraine. Whilst SMS and call tariff figures remain largely unchanged, the big bonuses come with internet speed. The 3G unlimited regional tariff comes with 1gb of traffic per day. The monthly subscription costs 140UAH. 26.08.2015 - Kyivstar has been issued licenses to provide services over GSM-900. This will provide the service to the following areas: Volyn, Kirovohrad, Rivne, Vinnytsya, Zaporizhia, Zakarpatye, Mykolaiv, Kharkiv, Poltava, Sumi, Ternopil, Kherson, Khmelnytskyi, Cherkasy and Chernivtsi regions. Also, the licenses have been renewed for the existing SMS, Mobile Data and calls services that the operator already had. 20.08.2015 - Ukrainian national telecommunications regulator NKRZI has approved the draft governmental programme to introduce LTE. According to the draft document, 4G services (internet, calls and SMS) are due to start coming on stream in Ukraine in 2017. The programme includes a revision of the frequency spectrum and the modification of legislation. The draft programme will be sent for approval to several state institutions, including national regulators. 08.08.2015 - Kyivstar, the Ukrainian mobile operator, has launched its 3G network in the Bukovel resort, which is located in the region of Ivano-Franskyvsk. That makes the total number of locations for Kyivstar 3G services up to nineteen in the region and nearly 250 across the country. Pre-paid customers are able to change to the smartphone tariff line, and post-paid subscribers can access the service by signing up for the Everybody For tariffs, both of which include SMS and calls as well - see details on their site. 08.08.2015 - MTS Ukraine has launched indoor 3G services in a number of places. This service is available to subscribers to the mobile operator, and at speeds of up to 42mbps, is available at Kharkiv International Airport as well as Borispyl International Airport. The service uses technology by Huawei and Commscope – the first in Kharkiv, the second in Borispyl. 30.01.2013 - Kyivstar restored service following an outage at one of its network routers on Friday and said that added approximately 475000 new customers in December following the launch of new plans. Q: Do you support all Ukraine networks? A: We support Golden Telecom, MTS, Astelit, Kyivstar, Beeline, 3MOB (UTEL) and other networks. If some SMS network is missing please contact us and we will find solution for you. We work worldwide!